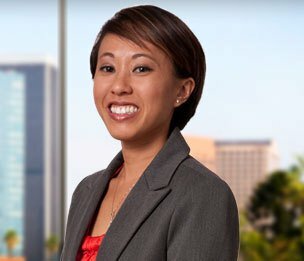 Jamie L. Lopez is a senior attorney in the Los Angeles office of Dykema. Her practice areas include employment litigation, counseling employers and complex business litigation. Ms. Lopez represents clients in employment matters, contract disputes, and business and partnership disputes. She also provides employment counseling to employers on a variety of issues, including compliance with federal, state and local laws and regulations, and handbook and policy development. She has experience providing anti-harassment training to employees. She has experience in defending wage and hour class action matters. She has assisted individual clients and corporate clients in achieving favorable judgments, awards and settlements. Prior to joining Dykema, Ms. Lopez was an employment law associate at the nation’s largest minority-owned firm. Ms. Lopez’s experience includes favorable verdicts, dismissals and settlements on behalf of individual and corporate clients in lawsuits alleging discrimination, harassment and wage violations. Her recent successes include: a favorable settlement for a haircutting franchisee in an alleged class action lawsuit; a favorable settlement in a wage hour class action lawsuit on behalf of a cosmetics manufacturer; a favorable settlement in a PAGA representative action on behalf of a large property management company; a complete defense award in arbitration in favor of an employer against an employee alleging various wage/hour violations; dismissal of an EEOC racial discrimination action due to employee’s failure to state a claim; and denial of class certification and a favorable settlement for a beverage distribution company against a former employee.